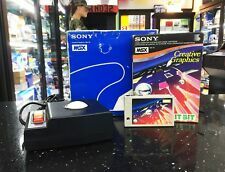 Home » Forum » MSX Talk » Software » MSX-1 software that doesn't work on the 1chipMSX ? MSX-1 software that doesn't work on the 1chipMSX ? Hello all, I was just wondering: do you know any software that was developed for MSX1, but doesn't work on a 1chipMSX due to it's VDP implementation ? That is: ignoring problems due to its ROMs, Japanisms, slot layout etc. I know that 1chipMSX VDP implementation still isn't 100%, but the few cases where I've seen glitches is software written for V9938 (MSX2) and up, I can't think of any MSX1 software that fails with the 1chipMSX's VDP implementation. Are there any examples (demo's perhaps) ? 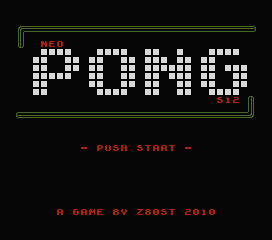 I know NEO-PONG has issues on OCM only. But those are solved. Another relevant question is, software that works on the OCM, but doesn't work on real machines. From what I've heard, the OCM is not worth much for development, because working on the OCM doesn't mean at all that it will work on anything else. The CPU is slightly faster, instruction timings aren't accurate, VDP garbage behaviour isn't spot on etc. Though for development, OpenMSX is already extremely good. blueMSX has a bug in msx2+ scroll. The left border won't flip in SC8. The 2 guys above me: yes, of course emulators and hardware simulators (fpga) are not good to test your WIP software on. Always use multiple msxes to test it on, and ask someone else if you don't have an MSX. is there a latest version of 1chipmsx; i only have the official one. I have several Altera sets at home so I can test/fix. slowerisbetter: depends on whether you refer to the physical machine or the implementation. KdL keeps developing new implementations, so *his* 1chipMSX implementation is very much alive. wolf_: where is his (KdL) version?